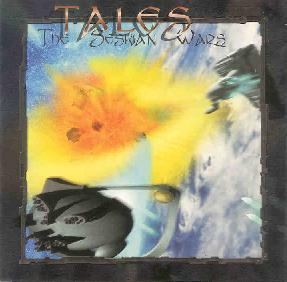 Tales - "The Seskian Wars"
With The Seskian Wars, Jean-Luc H. Berthelot, also known as Tales, continues his exploration of traditional styles of electronic music. As the name he records under implies, these are sonic stories. Berthelot uses the music to weave a soundtrack to a non-existent movie, to tell a story through sound. In this case, it's a tale of great interstellar conflict, and the music is appropriately deep and spacey, evoking the feeling of distant galaxies and outer space vistas. When I say traditional styles of electronic music, I'm speaking of the classic 70's sound, rather than a more modern electronica style, and indeed, Berthelot's music has obvious roots in the liquid spaciness of early Jean-Michel Jarre and the hypnotic sequencing of mid-70's Tangerine Dream. Both these influences can especially be heard on the opening track, Sagitarius' Gate. Berthelot is never quite as upbeat or dynamic as his influences. He prefers to create a more subtle sound, which perhaps lends itself better to his goal of telling a story, because it tends to let the mind fill in the spaces, creating pictures for the listener to see while listening. While listening to the haunting interlude Wreckage in Space, for example, I could just see the vast hulk of an ancient, dark, and silent starship, it's edges bristling with shadowy towers, floating against a starry backdrop. That's the kind of thing this music does for you. This is the kind of music best listened to with the lights turned down, and minimal distractions. If you relegate it to the background, you will miss what it has to offer. Although it may first seem like it, this is not ambient music. It's music that draws you in and transports you to another place and time. For more information you can visit the Tales web site at: http://jlhb.free.fr.